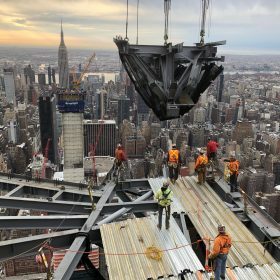 Last month, just after commencing construction, the 1,100-foot-tall observation deck at 30 Hudson Yards made New Yorkers gasp with dizzying construction photos. 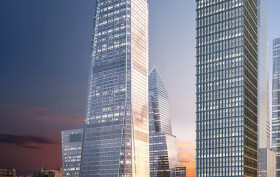 Now, developers Related Companies and Oxford Properties Group have shared even more sky-high pics of what will soon be the tallest outdoor observation deck in NYC and the fifth tallest in the world. This set shows how the steel and glass sections–each of which weighs between 35,000 to 102,000 pounds–made their journey on barge through the New York harbor, down the streets of Manhattan, and ultimately up the 1,296-foot tower. See all the vertigo-inducing pics! 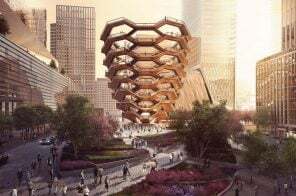 After commencing construction on and releasing two dizzying renderings of the super-high observation deck at 30 Hudson Yards, developers Related Companies and Oxford Properties Group have now shared with 6sqft these vertigo-inducing construction photos of the 1,100-foot-tall deck. 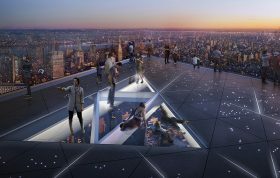 In addition to its sheer height, the deck, which will be the tallest outdoor observation deck in NYC and the fifth tallest in the world, will extend 65 feet away from the building with a window on the floor so thrill seekers can peer down. 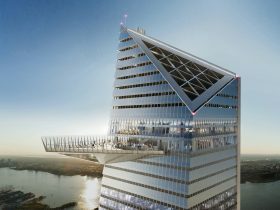 Construction commenced this week on the super-high outdoor observation deck at 30 Hudson Yards, developers Related Companies and Oxford Properties Group announced Tuesday. 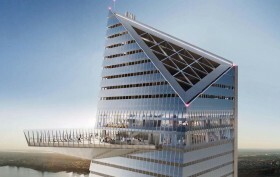 Soon to be the highest in the Western Hemisphere, the outdoor deck will sit 1,100 feet in the sky and be found on the 100th floor of 30 Hudson Yards. 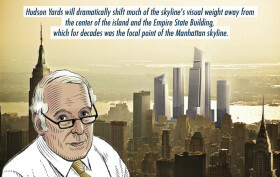 The deck, made up of 15 primary sections of steel and glass, will extend 65 feet away from the building. 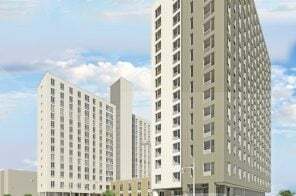 And a pair of new renderings released on the developer’s Instagram show just how dizzying this aerial adventure will be. 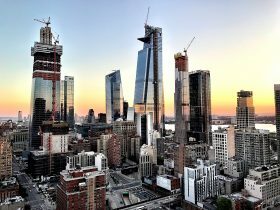 Another deal has been inked for the massive Hudson Yards project, a 26-acre complex developed by Related Companies and Oxford Properties Group, and it will definitely reach new heights. 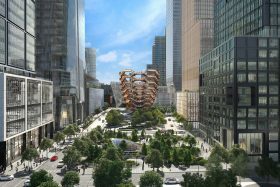 On Tuesday, Related announced that London restaurant and catering company Rhubarb will run a 10,000-square-foot public space in the nearly 1,300-foot supertall 30 Hudson Yards. Rhubarb will operate a bar, restaurant, and event space on the 92nd floor, one floor above the tower’s observation deck, which at 1,100 feet will be the highest outdoor deck in the city. 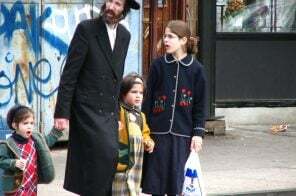 According to Eater and the Post, the company will also open a 5,800-square-foot restaurant on the fifth floor and an indoor-outdoor bar at the observatory.